The Juventus superstar was given his marching orders for an off-the-ball incident and the football world had plenty to say about the dubious moment. Cristiano Ronaldo was sent off on his Champions League debut for Juventus on Wednesday in what can only be termed a questionable decision. Having taken issue with a Valencia defender, the former Real Madrid and Manchester United star reached down and touched Jeison Murillo on the head, urging the defender back to his feet after a perceived dive. 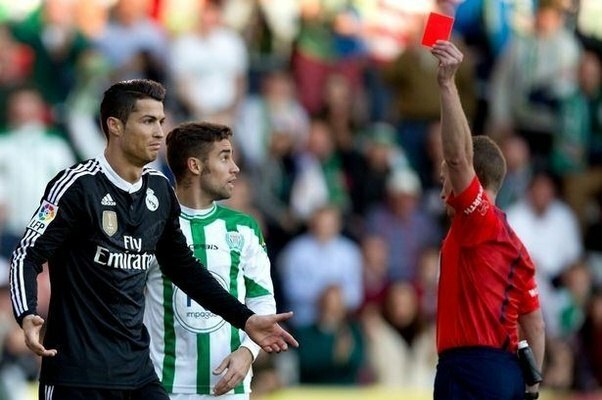 The straight red means that, barring an overturn of the mandatory bad, Ronaldo will miss out on both group-stage clashes with Manchester United and left the 33-year-old in tears.